Q & A: What Hands-On Techniques Do You Teach For The Psoas? A: I have many approaches for working WITH the Psoas rather than working ON the Psoas. Once one understands the bio-intelligence of the Psoas as a messenger of the central nervous system, protocol for working with the Psoas changes. I recommend healing the dysfunctions that call upon the Psoas to compensate in the first place; hydrating the dry Psoas tissue with movement, sound, and breath; enhancing proprioceptive development through movement and awareness; completing developmental primal reflexes, which may still be exhibited; correcting ergonomic imbalances; and supporting normal healthy function through core integrity. One very important concept I present is the difference between getting “release” and resolution. Release is not the same as resolution. Trigger point approaches, for example, are release techniques; however, the Psoas is not the problem 99% of the time and even when it is, trigger point manipulation, in my way of thinking, is not a solution. Once again, getting a ‘release” through manipulation and palpation is not the same as resolving the message that the Psoas is communicating; rather, it may shut the messenger up but only for a relatively short time! The message must return as a biological imperative. 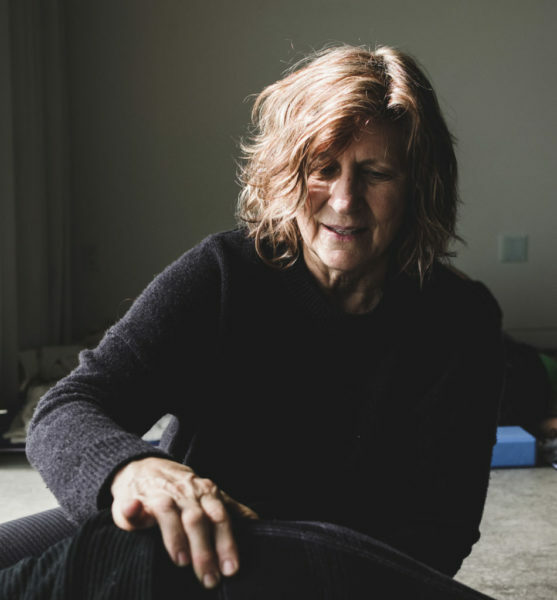 I have heard the Psoas called the muscle of the soul…your deepest proprioceptive connection to earth and living with integrity – I teach therapist how to learn the language and listen to its message! « Q & A: How Does The Psoas Influence Menstrual Cycles? I am very interested in this new perspective (for me) of “resolve” rather than “release”. I have really only learned release methods. I would be interested in reading more about this view and work. Thank you for giving a fresh insight. I recommend beginning this journey of understanding the difference between release and resolve by reading the articles I have authored on Trauma Protocal and the Psoas. Most of these articles can be found under Articles on my website: Psoas Health & Trauma Recovery (published in Massage & Bodywork Magazine US) and Iliopsoas – The Flee/Fight Muscle For Survival (published in Postive Health UK). A 2-part article in March-April 2005 Issue 114 and May-June 2005 Issue 115 in Massage Magazine co-authored with International Trauma Expert David Berceli will be available in word format under purchase items in the very near future. If one understands the psoas as a messenger of the central nervous system then trigger pointing or getting a “reaction” from the tissue can no longer serve as therapy – rather support, hydration, and nourishment become key essentials for resolution. When will LIz Koch be holding a workshop in San Diego,Ca?I do hope that it is in the very near future. Thank you. I will be in Santa Monica in 2011 for sure….and I am in San Jose CA November 6 & 7, 2010 – just a quick 1 hour air flight away! I have recently suffered back and sciatica problems and my regular Bowen therapist recommended sections of your book, with techniques to ‘release’ the psoas muscle. The advice has proved very successful and effective. I am 55 and took up running seriously 5-6 years ago – I love it, but do not wish to incur this kind of health problem ever again! Am I being reallistic to hope to run again? Are there specific books/articles on this subject, for idiots like me, who are not yet ready to accept that old age has to mean sitting on a promenade, gazing out to sea??? The more supple the spine, the more supple and juicy the Psoas, the more open the hip sockets, the more functional the feet, the better rebound (ground force reaction), the smoother the movement…the sweeter the run. Balance running with active recovery movements such as constructive rest before and after, fluid movement for hydration and keeping tissue proprioceptively responsive. Aging is a drying out process so allowing the tissue to be responsive in multiple directions not from stretching but by being responsive is key! I taught Pilates at Rio Caliente (just closed:((( Wish I met you there. Will you be having a workshop in Chicago soon? Love all your work w/the psoas, thank UUUU. I will be in Iowa in 2012 just 3 hours from Chicago. I am also looking for a great workshop space in Chicago…have any recommendations? I am a beginning midwifery student with a background in dance. I have your psoas book and I am interested in further studying the effect of the psoas on pregnancy, labor and birth, both physically and emotionally. do you have any suggestions for resources? Yes I teach workshops specific to the Psoas during Pregnancy, Birth & Postpartum I recommend attending one. Plus I recommend reading Birthing Fear published in Midwifery Today Magazine and Psoas & Pregnancy & Birth published in The Doula both found under my ARTICLES section on my website. Such an important subject! i wonder if you have any plans to visit Australia and run some workshops and/or a retreat? i would be very keen to participate. i have chronic , complicated spinal tension/pain in relation to psychological trauma and know the psoas is central in my state. i am an creative arts therapist with a MD training. i am based in Melbourne. I return to Australia in 2013 for a 3-day Psoas Depths workshop followed by a 5-day Application Course for professionals! Just saw that you will be in Australia in 2013. I am really keen to attend a workshop. How will we know about it? I am teaching mat sessions. Late starter as I only did my training when I turned 50! Reading your book now!As an ex-nurse I find it absolutely fascinating. Liz, Your work is intriguing and unique! I wish I had found it years ago, for many reasons both personal and professional. Maybe I would have been able to birth my babies naturally, as i hoped and planned to do, instead of having two cesarians. I am a neuromuscular therapist (trained by a former student of Janet Travell). I am also a restorative yoga teacher, and have studied with some outstanding teachers in that field as well. And yet I have never before been exposed to the approach to the psoas that you so beautifully describe in your work. I recently became very interested in David Berceli’s TRE as a part of my own healing journey. From there I went searching for more information and found the Core Awareness podcast. I truly hope that I can study with you some time. Until the opportunity arises, I want to thank you for the wealth of information you are providing on this site, in your books, and in your podcast. Noticed I just missed your Boulder , Co workshop any chance of ever coming back to Colorado or a neighboring state? My Psoas would really like to meet you, it doesn’t seem to like me very much. I don’t expect to be back around for quite a few years. I recommend joining me in another state…you can get the workshop details by signing up for my monthly newsletter. I always send a psoas savvy tip plus any workshop updates. Thats all ! I promise.